7. 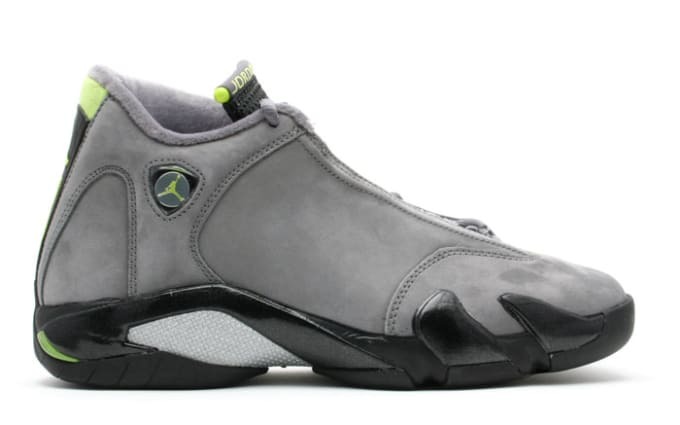 Air Jordan XIV "Light Graphite/Chartreuse-Black"
Complex says: These were even more AM95 Neon-esque than their white counterparts. And the suede uppers and fuzzy lining made them more like slippers than high-performance sneakers. In fact, these should probably be ranked higher just for that alone. Oops.